With more spaces than most rooms have to offer, why not expand your outdoor environment and create the ultimate backyard party and entertaining space? We are your destination for designing and building your ideal creative and functional entertaining space under the sun and stars. We are IVY Studio, a landscape design and build consulting firm based in the greater Boston area. 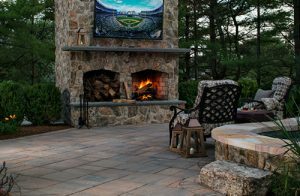 Our design professionals create stunning outdoor designs with pools and spas, outdoor kitchen islands with cooking accessories and fire places and fire pits. Contact us at 781-591-0300 or vern@ivystudioMA.com for that spark of inspiration to light up your outdoor entertaining options.